A huge amount of the students we see, are seeking resume advice. And that’s really no surprise. 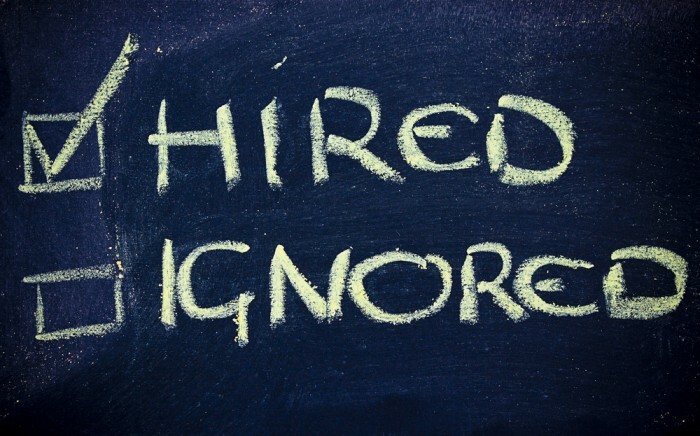 It’s your primary self-marketing tool and can be the document that gets you an interview… Or gets you overlooked. Even though we all essentially know what a resume is, it doesn’t seem to make it any easier when it comes to putting pen to paper. How long should it be? What information do I include? What information should I leave out? What order do I put things in? – All common questions, and sometimes the answers aren’t so simple. Even when you have a great resume, you need to remember that it’s only a foundation. 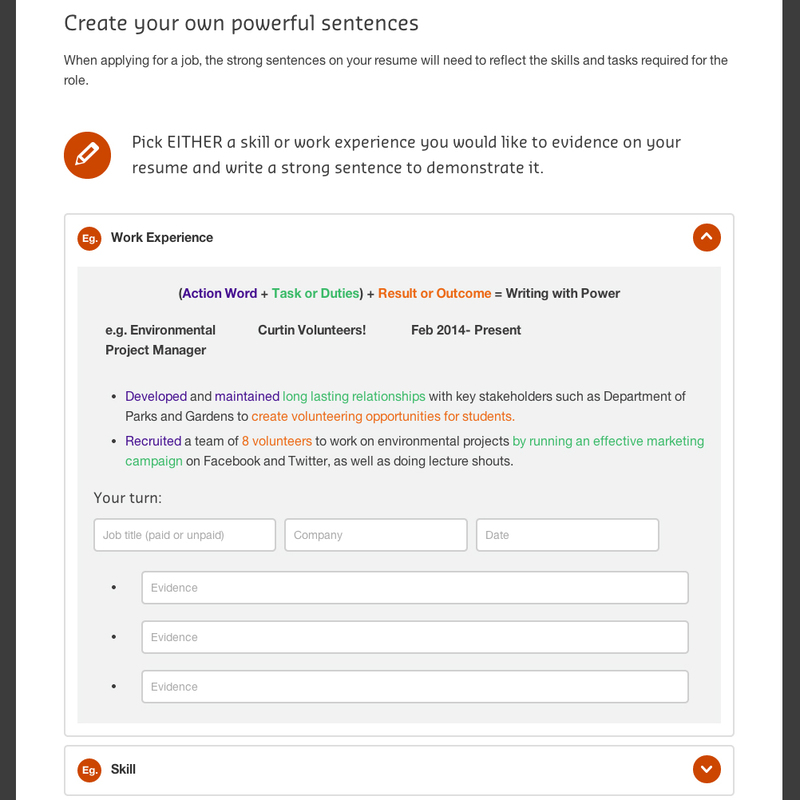 With each new job, you’ll need to tailor it to get the employer’s attention, fit the position and complement the information you present in your cover letter and selection criteria statement. 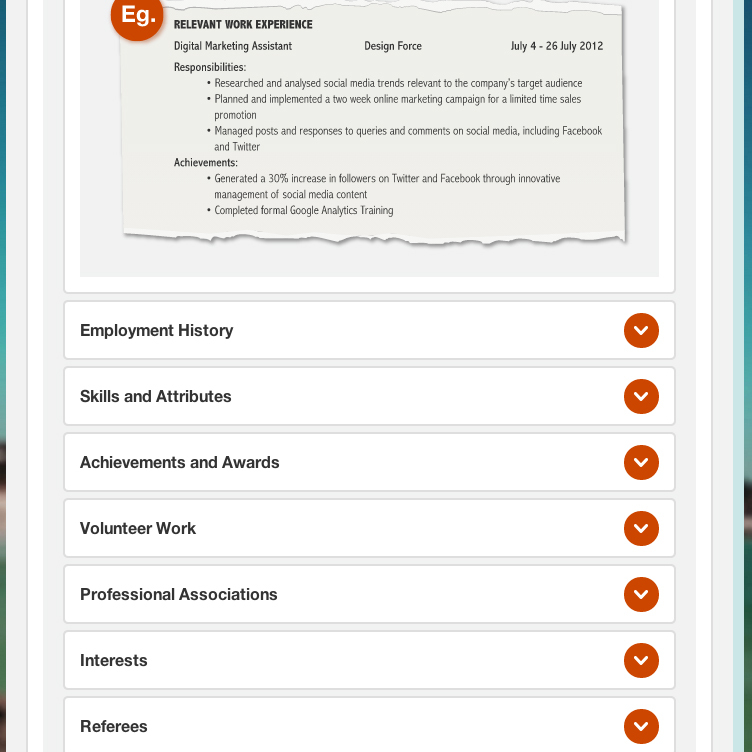 To get started on your resume or refine your current one, check out our online Resume module (shown below). You’ll get detailed info on content, layout and writing techniques.